There is no better place to get a tattoo then you collar bone. If you want to flaunt a glamorous tattoo design, you can go for a tattoo on your collar bone. The clavicle tattoo looks visually attractive and very appealing and you can show it to the world whenever you feel like and can even easily hide it.You can choose the upper portion of the collar bone area or you can get a more elaborate tattoo design that cover your entire chest area. 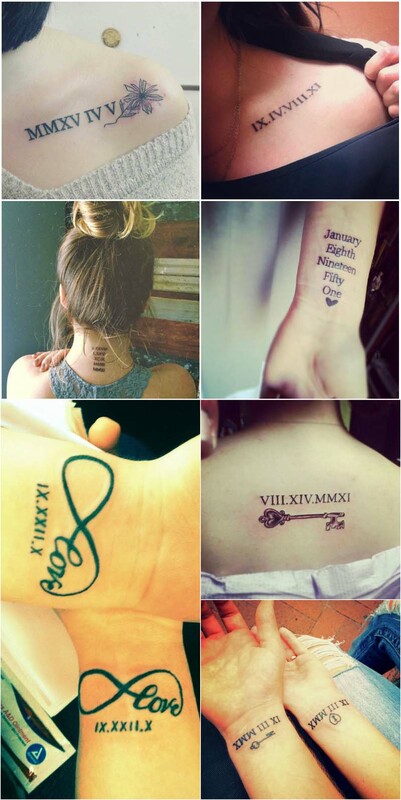 You can choose from the variety of tattoo designs that can be engraved in your collar bone area. Collar bone tattoo is a daring and extremely delicate way for men and women to express creativity. You can preserve your special day by inking it up and it looks highly adorable when it pops out from your jacket. Ornate scripts let you to show your own beliefs and thoughts to the world. Most of the script tattoos are centered across the chest and they are inked in simple grey and black color. 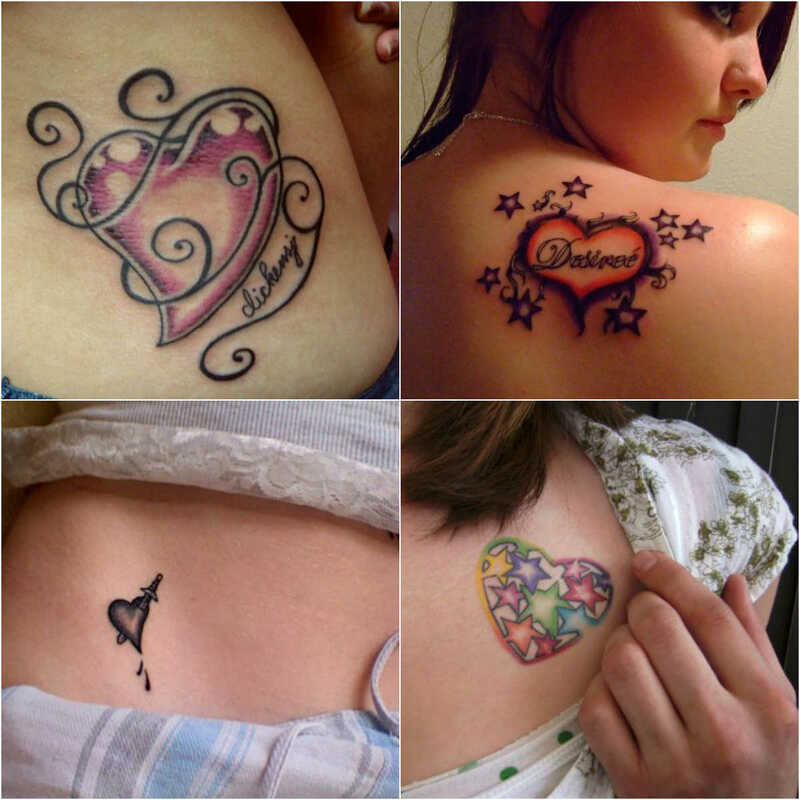 Secret heart is a symbol of love of God and has been quite common in the tattoo world. Many people choose to get the symbol of sacred heart directly inked on and below their collarbone. Flowers are one of the best choices as they are the symbol of beauty and love. 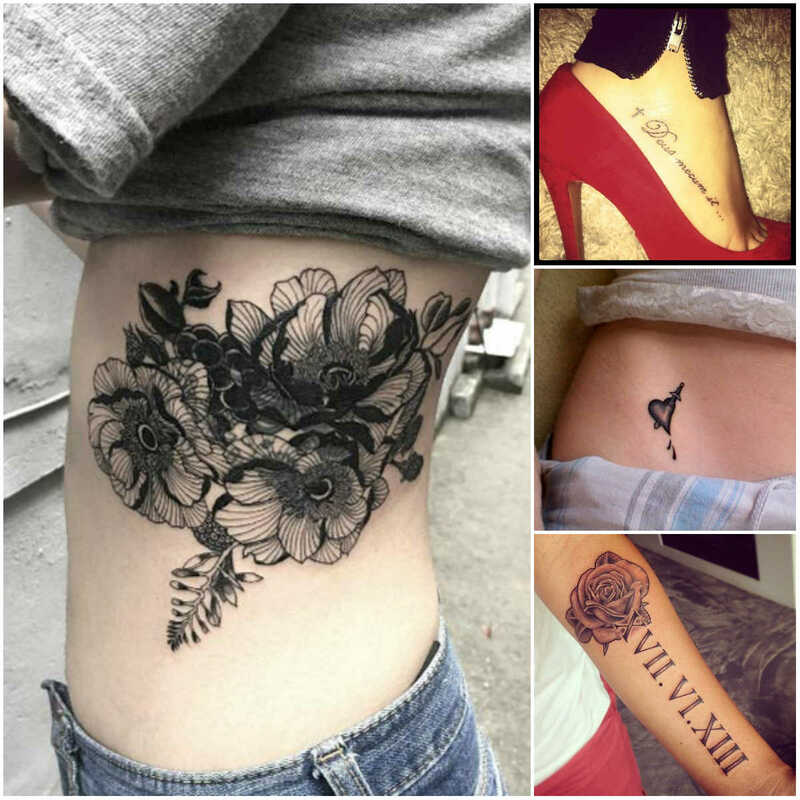 Every flower has different meaning associated with it and you can choose the one which you want to represent through your tattoo design. 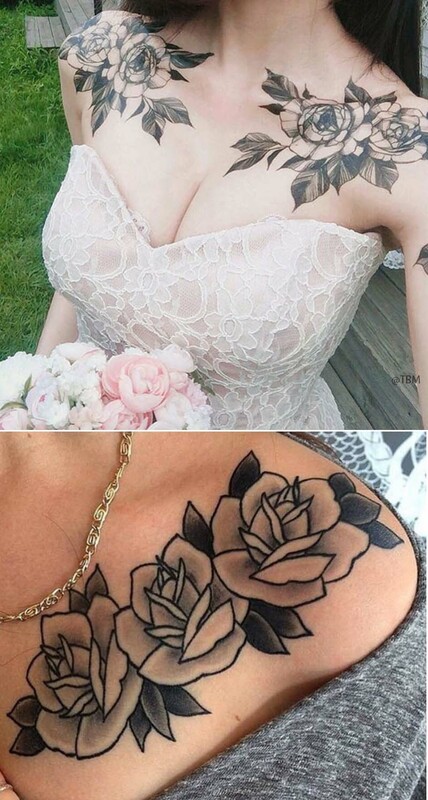 Innovative collar bone tattoos will make you look quite different from others. Symbols of birds, stars, flower, flying butterfly looks cute and you can have attractive scripts inked on your clavicle too.